Etching is a technique of graphic art having a long-standing and rich history which goes back to the 16th century, but at present it continues to exist thanks to the artists who full of enthusiasm and obstinacy still continue working in this field. 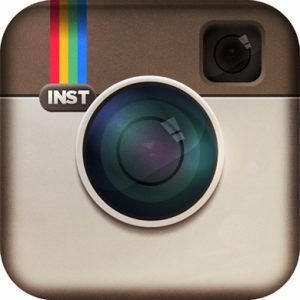 This is a demanding technique insisting that in order to achieve the desired result its users should be patient, precise and persevering, and technically masterful as well. Today, when time flies faster than wind but the needs of everyday life do not allow stopping in the endless competition with the flow of time, the artist stops the samsara wheel for a short while focusing the whole attention on the challenge of the specific creative moment. Looking back on the history of etching, this technique is considered to have risen in Augsburg, Germany, where Daniel Hopfer (~1470-1536) used it to decorate metal amour, but a little bit later, thanks to the French artist Jacques Callot (1592-1635), the triumph of etching technique began in visual art, materializing in the famous works by Albrecht Durer, Rembrandt van Rijn, and Francisco de Goya. Etching does not refer to a single technique only; the term is applied to denote the whole group of deep-print techniques – aquatint, mezzotint, dry needle, soft varnish, stipple. Each technique can be used separately, however in order to achieve the desired outcome even several methods can be applied within the frame of one work. With time, the historical methods of etching technique are being developed and improved, since by experimenting and working in etching many artists add to them their own discoveries. At present, the employing of historical etching techniques is still important, though there are a lot of innovations too, for instance, photogravure which occupies a significant place in contemporary graphic art, and also methods that replace the use of toxic acids with other harmless materials in the process of engraving. The society “Etching Guild”, founded by Nele Zirnīte in 2010 in order to keep the classical etching tradition alive and popularize this graphic technique among wider public, marks the 5th anniversary this year. Taking a glance from aside, it might seem – is it so much? However, during these five years quite a lot has been done! Within the frame of “Etching Guild” Nele Zirnīte has implemented several projects and organized creative workshops for people of different age in Riga, Jūrmala and even in the USA. The international exhibition “The 100th Anniversary of the Titanic” has to be especially singled out. It was held in Riga Art Space and in the Gallery “Rīgas tālers” in 2012. 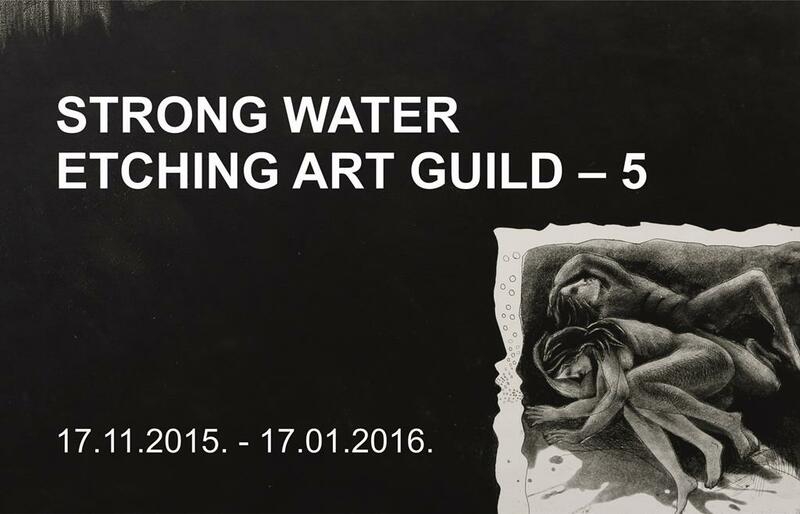 This year, for the fifth time already, the project conceived by Nele Zirnīte is being implemented and a large international exhibition of graphic art “The Strong Water” is organized with not only the members of “Etching Guild” but also with artists from other parts of the world participating in it. Switzerland is represented at this exhibition most widely – works by 16 authors are put on display. A close cooperation with Switzerland has been already established in previous years when in 2013 the exhibition “The Strong Water” travelled from Latvia to Basel (Switzerland). Along with works by Swiss artists, works by artists from the USA, Brazil, the Czech Republic, India, Japan, Russia, the Netherlands, Lithuania, Poland, Spain, Ukraine, are also displayed. Latvia is represented by works of the members of “Etching Guild” – both artists of senior age who already count as classics and whose rich creative contribution does not require comments for Latvian viewers, and artists of middle generation who have proved themselves to be already excellent masters of etching technique, and also younger artists whose names have been appearing at the starry sky of graphic art quite recently. “Etching Guild”considers it essential to maintain close contacts between artists of different generations who, thus, can inspire and support one another at the right moment. In addition to the exhibition The Strong Water. Etching Guild – 5, viewers are offered two more exhibitions – the solo exhibition Origin by Nele Zirnīte, guild master of “Etching Guild”, displaying a dedication to all etchers of her time, and also the exhibition The Song of the Sun displaying works by Dzidra Ezergaile (1926-2013) and dedicated to the long creative life of the author. From 2010 and until her death in 2013, Ezergaile was the honorary member of “Etching Guild”and has participated in all exhibitions. Common to all three exhibitions relating to “Etching Guild” is authors’ enthusiasm and affection to etching techniques and their application at creating their works. Every author has his own style, his own sense of space and time, and therefore everyone is unique because each tells one’s own story of the strong water. Actually, this is an endless process involving not only a strong and persistent desire to work with this specific technique, but also an infinite circle of themes for interpretation.